Bats, when in the home, can cause terrible trouble. They drop their urine and feces below where they hang, resulting in bat waste piling along the edge of the home or on top of the ceiling sheetrock in the attic. The longer the waste remains, the harder it is to remove. 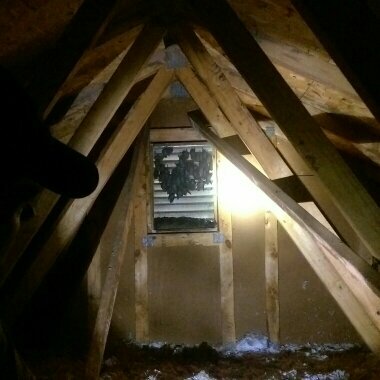 That’s why it’s best to call Attic Kings at the first sign that you have a bat problem. Bats do not chew holes to gain entry into the home. Instead, they will come in through vents and other holes and cracks they can find. Bats are quite good at this as they can squeeze into a hole that is the size of a human thumb. For as creepy and destructive as they can be, bats are very helpful creatures as they eat many of the bugs we find so bothersome. In fact, one bat can eat up to 1,000 mosquitoes an hour! Bats are actually more closely related to humans and other primates than rodents, so it’s important that we do our best to take care of these critters. The best and safest way to remove bats is to use our one-way exit tunnels. By sealing up all known entryways, our custom-made tunnels act as the only way for the bats to get out and feed. Because bats feed on a regular basis, the tunnels will get them out in just 1-8 days. We can also try to get them to leave by making loud noises, pounding on walls, and spraying them with water. 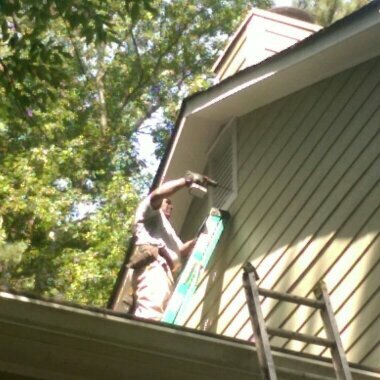 Once they have temporally left the area, we will seal off any access points to the attic. Once we’ve removed the bats, it’s important that we replace any contaminated insulation and disinfect the area with our special DSV spray. This will keep you and your family safe from the harmful effects that bat feces can have on your health. NOTE: Through 1 May – 25 August, bats cannot be legally removed if they have young or are lactating. If this is the case, it could delay the removal process. Let one of our licensed technicians check to see if we can do the job. Attic Kings does not use poisons as part of its removal process. Using poisons can cause health hazards to your pets and family, and aren’t as effective as our exit tunnels. Plus poisons could cause the bats to die inside the home, leaving you with even more problems.